I needed this reminder. 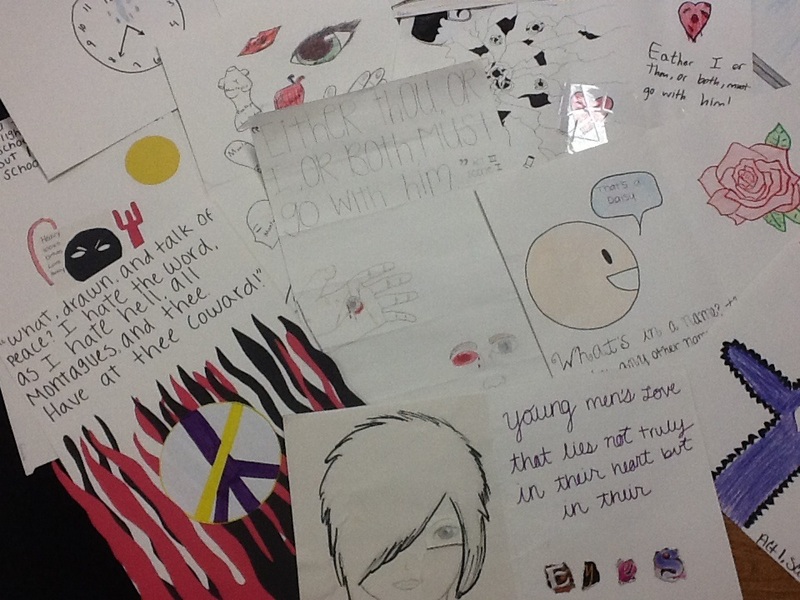 As my students stood up to share the posters they created for their Romeo and Juliet theme projects, I oohed and aahed along with the rest of my students when some of the most artfully skilled students shared their work. It’s not that I don’t differentiate my classroom instruction, but sometimes I forget to differentiate when it comes to how students can show me mastery of the skills they’ve learned. 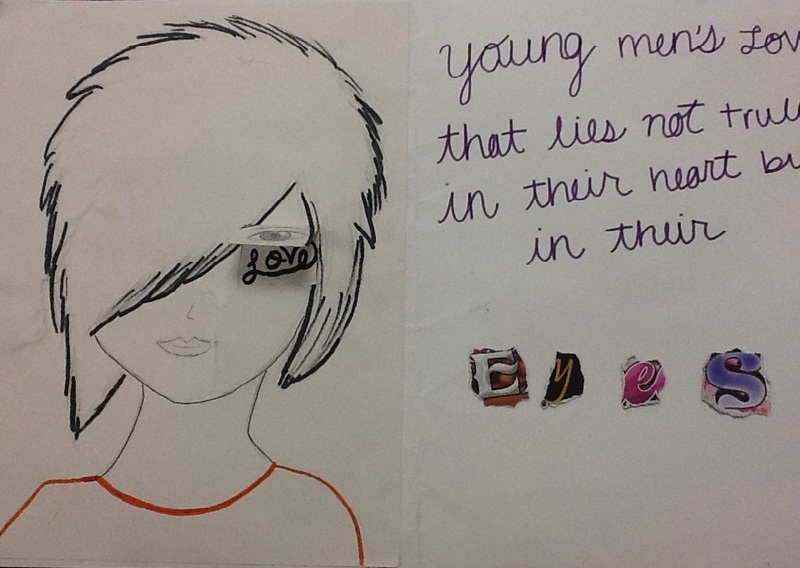 As kids presented their theme poster, they had to explain how the quote they chose represented the theme of their project and how the images and colors they used to illustrate their poster reflected their quote and theme. Every single kid could do this orally. 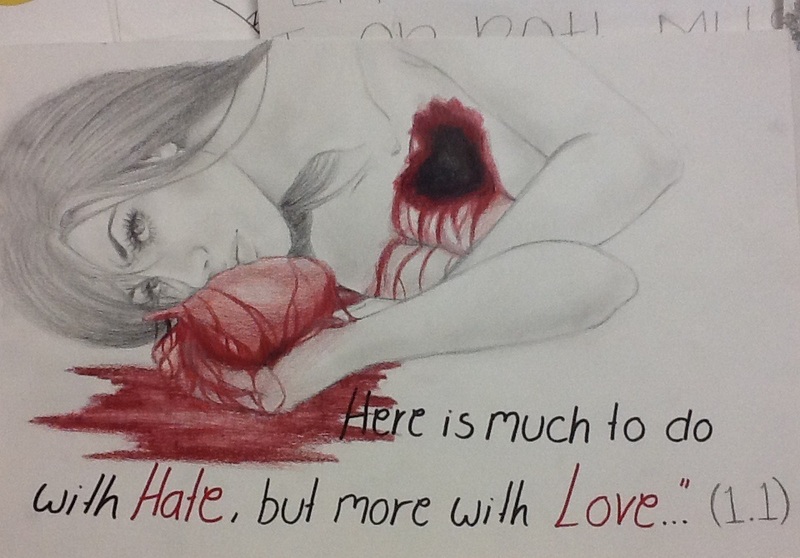 Not everyone could do it on the paper they were supposed to submit when they presented. Or some just didn’t want to. Sigh. I needed this reminder. If it’s about mastery, there are lots of ways for students to show me what they know. I get the writing part and know that has to fit in somewhere–lots of wheres, but still. . . 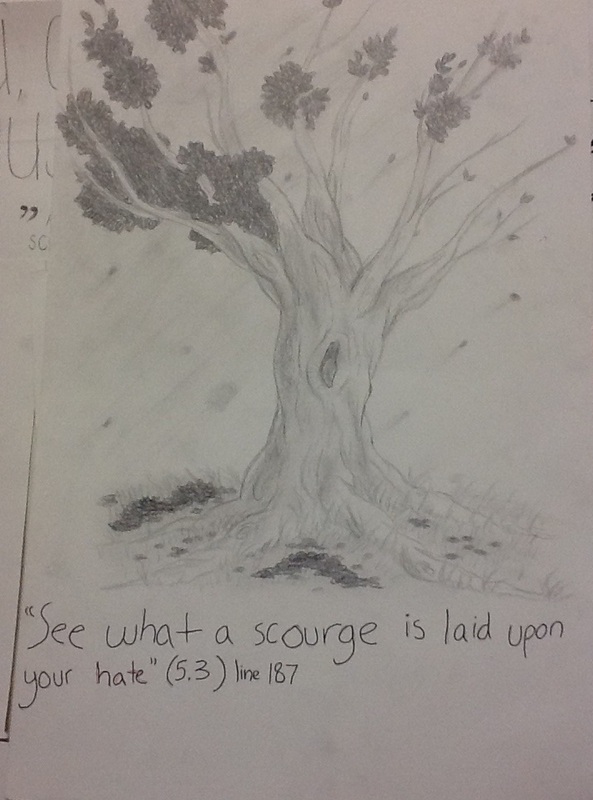 I just can’t assign a failing grade to a child that represented “See what a scourge is laid upon your hate” with a beautifully drawn tree that’s suffering from blight. There’s thinking here. Oh, I better revisit that whole rubric debate.